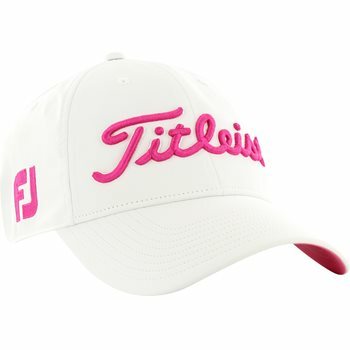 The Titleist Pink-Out Tour Performance cap is inspired by Titleist Tour players and their desire to wear pink on Mother’s Day. The cap features authentic Tour logos, a pre-curved bill, performance fabric with a bonded tricot liner, and a hook-and-loop closure for a custom fit. The antimicrobial, moisture-wicking sweatband helps to eliminate odor and keep you cool and dry while the built-in UV protects you from harmful sun rays. Review by ben, 12 days ago.